The increasing need for secure and reliable communication devices for the civilian and military applications has increased the demand for software defined radio market for communication. Software defined radio is basically a radio communication technology in which all or some of the physical layer functions are software defined. The impact of the software defined radio technology will affect the network operators, end users, OEM suppliers, handset manufacturers, and the electronic component manufacturers. Many projects have been started for the development of software defined radio; such as the US Joint Tactical Radio System (JTRS) program, European Secure Software Defined Radio (ESSOR), and Speak Easy radio program, among others. Software defined radio contributes significantly towards the development of better communication devices, thus, providing a useful prospective for the various sectors such as defense, telecommunication, and transportation. This report is based on an in-depth research study on the software defined radio market for communication across the military, homeland security, and commercial applications and focuses on the various types of emerging applications that are available commercially, as well as the new market demand for the SDR technology by 2020. The report provides the profiles of the major active companies in the software defined radio market. The recent developments, adoption of technologies, and the agreements to strengthen the growth of this market are also briefly discussed. The report also provides the competitive landscapes of the key players, which indicates their growth strategies in terms of the software defined radio market for communication. The software defined radio market for communication segmentation by component includes field programmable gate array, digital signal processor, general purpose processor, amplifier, software, and other components such as antenna, RF front end, and converter. The software defined radio market for communication, by application, is segmented on the basis of military applications, which is further sub-segmented into the land, airborne, and naval type. The other major applications that are covered in the report are public safety/civilian government, telecommunication infrastructure, and short range communication equipment. The positioning applications include global positioning system, GLONASS, and other positioning systems such as Galileo and BeiDou. The transportation application consists of intelligent transport systems and automotive wireless electronics. The remaining applications are cognitive radios and cellular phones, which are also expected to act as a good prospective for the software defined radio in near future. 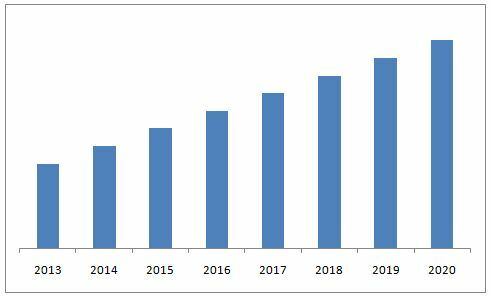 The software defined radio market for communication, by geography, is divided into four major segments that include Americas, Europe, Asia-Pacific, and the Rest of the World (ROW); and regional analysis is done further on the basis of countries. Major players in this market include: Rockwell Collins Inc. (U.S.), ITT Corporation (U.S.), BAE Systems Plc. (U.K.), Northrop Grumman Corporation (U.S.), Harris Corporation (U.S.), Thales Defense & Security Inc. (U.S.), Flex Radio Systems Inc. (U.S.), Datasoft Corporation (U.S.), L-3 Communication Holdings Inc. (U.S.), and Raytheon Co. (U.S.). software defined radio market for communication is an evolving technology that can be deployed in cellular base stations, battlefield radios, and in homeland security systems. It offers the flexibility to change the modulation schemes, filters, and the error correction algorithms by simply making changes in the software performing on the processor. For the rapidly evolving wireless standards such as 2.5G, 3G, and 4G, there is a need to support the modulation and air-interface formats. The software defined radio empowers such functions in the wireless devices, by utilizing reconfigurable hardware platforms through the multiple standards. The software defined radio technology has been able to overcome the challenges imposed by the incompatible communication systems by updating the radio systems with new protocols, functions, and standards. This is because of its ability to use software to control the operating parameters of the radio. It has the potential to enable new technologies in the system without doing the replacement of the system. This has been possible due to the advancements in digital electronics. The growing demand for effective communication systems is a prominent factor that is endorsing the growth of this market. The software defined radio market for communication serves a vast range of industry verticals ranging from very small consumer electronic devices to very large military devices and telecommunication infrastructure equipment. The market size of the software defined radio communication is expected to grow at a CAGR of 12.5% from 2014 to 2020. This report focuses on detailed segmentations of the market, combined with qualitative and quantitative analysis of each and every aspect of the classification on the basis of components, applications, and geographies. All the numbers, at every level of detail, are forecasted till 2020, to give a glimpse of the potential market size in terms of value in this market. Major players in software defined radio market for communication includes Rockwell Collins Inc. (U.S.), ITT Corporation (U.S.),BAE Systems Plc. (U.K.), Northrop Grumman Corporation (U.S.), Harris Corporation (U.S.), Thales Defense & Security Inc. (U.S.), Flex Radio Systems Inc. (U.S.), Datasoft Corporation (U.S.), L-3 Communication Holdings Inc. (U.S.), and Raytheon Co. (U.S.), among others. 11.7 L3 Communication Holdings Inc.
11.11 Thales Defense & Security Inc.